Rarely could an artist be said to transcend, yet include, the most raw and real elements of country, folk, soul, roots rock and blues. Nevertheless – with bone-deep authenticity – that’s exactly what Bret Mosley does, wrestling deftly with longing, belonging, and world-weariness … on the way home to hope & grace. Mosley’s critically-acclaimed debut album ‘Light & Blood’ was released in December 2007 on Woodstock MusicWorks, and hailed as “a heart-felt masterpiece” by NeuFutur Magazine. The album’s thirteen tracks were recorded over a two-day span in March 2007 by Pete Caigan (Bad Brains, Tony Levin) at Flymax Studio in Woodstock, NY. The record was mixed by Grammy-nominated engineer Roman Klun (Sarah McLachlan, Joan Osborne, Spin Doctors). Every track was performed live with no overdubs or punch-ins. The result is at once lean and lush…a smouldering confessional work…soulful Americana laced with a driving groove…and a few thousand self-distributed copies later, an Australian reissue of ‘Light & Blood’ dropped in November 2015. Mosley toured tirelessly across the US – 200+ dates per year – following the album’s release and enthusiastic reception. With signature idiosyncratic intensity, his unreservedly original, deeply authentic sound has garnered an audience ranging from cowhands to bankers, from rastas to cops. Just after the release of ‘Light & Blood’, the venerated, archetypal musician’s musician Jerry Joseph attended a downtown NYC show of Bret’s. That changed the whole game for Mosley. Mosley has opened for George Porter, Jr., Trombone Shorty, Ivan Neville’s Dumpstaphunk, Cedric Burnside Project, the Subdudes, Patterson Hood, The Blind Boys of Alabama, Jackie Greene, Good Enough For Good Times, Junior Brown, Donavon Frankenreiter, Big Brother & The Holding Company, Kaki King, Kelly Joe Phelps, et al – comparisons have included Chris Whitley, John Butler, Xavier Rudd, Richie Havens, Van Morrison, Ben Harper and Taj Mahal. U.S. festival appearances have included Mountain Jam, Wave Gathering, NedFest, JazzFest, SXSW. In Australia, he has played Blues at Bridgetown and Nukara Music Festival. During May and June of 2016, Mosley was ranked Reverbnation.com’s #1 Americana artist in Western Australia. Mosley’s latest studio effort ‘X-ING’ was released October 29, 2013 on his own Out Of The Park Records. He has begun production on his next record at Quarter After Blue Studios in Tupelo, Mississippi. The project will feature guest appearances by several prominent Mississippi artists. 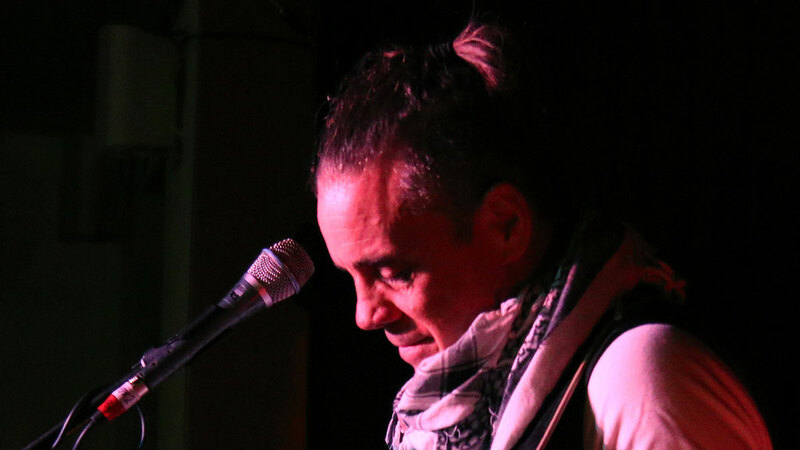 Living in Perth since late 2014, Bret is building touring momentum in Australia – having shared the stage recently with Ian Moss, Morgan Bain, Minnie Marks, The Pierce Brothers, Kalidad, Hussy Hicks, Blue Shaddy, Tex Perkins and John Meyer.